Anthony Sparrow said his son acted in self-defense when the cow charged at him on their property in early September. EMBDEN— In the two months since his son, Mason, shot and killed a neighbor’s cow in early September, Anthony Sparrow said, their lives have been destroyed. They’ve received death threats and have had to put their start-up automobile delivery business on hold. Anthony Sparrow painted his car and changed his license plates to prevent people from going after him. Their reputations are ruined. 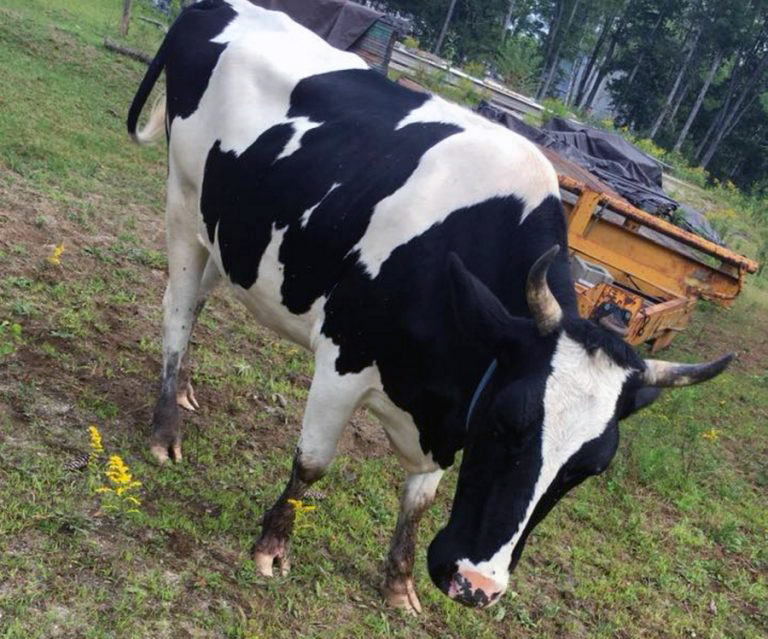 Police say Sophie, a 3-year-old pet Holstein heifer, was shot and killed by a neighbor of her owners after causing damage to an SUV. The owners of the cow, a 3-year-old Holstein heifer named Sophie, say Mason Sparrow needlessly shot and killed their pet for doing minor damage to a vehicle in their driveway, and the Sparrows have said little publicly about the allegations. But now, Anthony Sparrow said in an interview this week the backlash over a killing that was done in self-defense has gotten to be too much. Sparrow has also taken issue with the way the case was handled, saying the Somerset County Sheriff’s Office and Somerset County district attorney have sided with the Danforths and moved to charge his son only after public outcry over the shooting, and that a county employee is among those who made threats to his family. Jaime Danforth, the cow’s owner, could not be reached for comment. She is facing a charge of animal trespass in the case. Sparrow also said his 24-year-old son, Mason Sparrow, who is charged with cruelty to animals and is scheduled to appear in court Nov. 7, did not want to comment. Meanwhile, Chief Deputy James Ross, of the sheriff’s office, said Sparrow’s claim the charge against his son — which carries a penalty of less than one year in jail and up to a $2,000 fine — was brought up only as the result of public pressure is not accurate. “What we do in any case like this is consult with the district attorney’s office to see if there are applicable charges; and if there are, which I feel there was in this case, then we charge the person,” Ross said. For Sparrow, the morning of Sept. 5 was just the latest instance of his neighbors’ animals getting loose on his property, including an instance over the summer when, he said, the cow trampled and badly injured one of his ducks. 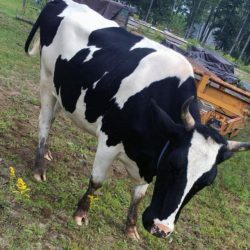 On Sept. 5, he called Embden animal control officer Pat Nelson to report the cow, a 3-year-old Holstein heifer named Sophie, was in his yard again. Sparrow set up a 5 p.m. meeting with Nelson, but it wasn’t long after talking to her that his son, Mason Sparrow, went outside to try and spook the cow away from their Lincoln Navigator in the driveway. He said it was rubbing its horns on the end of the vehicle. But as Mason Sparrow’s foot landed on the last step of their porch, it caught the cow’s attention and she came charging at him. In a split second, he decided to shoot the animal in self-defense, his father said. The shot didn’t kill the cow, and it staggered to the other side of the driveway, where Sparrow said his son fired again to put it out of its misery. 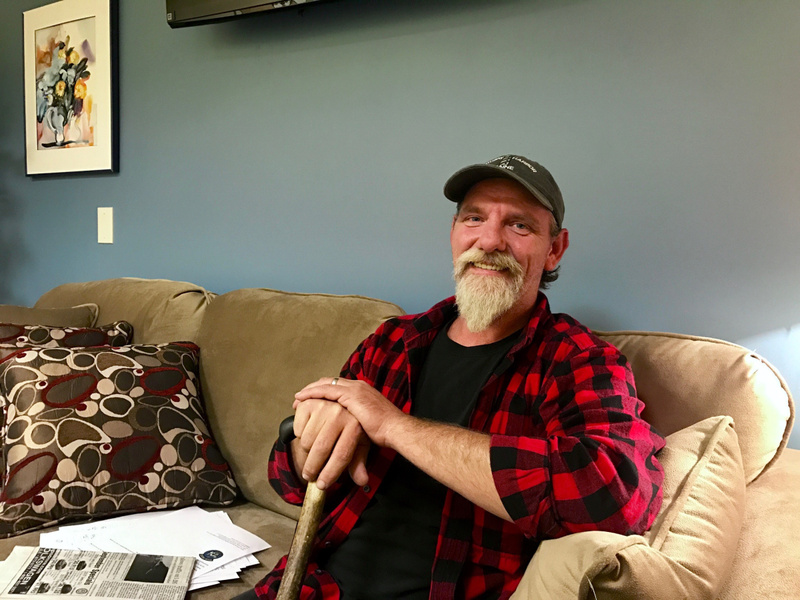 Anthony Sparrow, of Embden, says his family has received death threats and their lives have been destroyed since his son killed the next door neighbors’ cow Sept. 5 in what he says is a case of self-defense. “Honestly, I’m glad he had his gun on him that day, because my son would more than likely be dead,” he said. Anthony Sparrow, who was at a friend’s house in Norridgewock at the time, said he got a phone call from his wife and came home immediately. His son was distraught and his wife was crying when he got home. He called the animal control officer, who said she would contact the sheriff’s office, and they all met at the Sparrows’ home at the end of a dead-end road. The officer and animal control officer went down to the Danforths’ home, where they told their teenage daughters, who were home alone at the time, that the cow had died. Shortly afterward, Sparrow said he heard his neighbors starting up a bucket loader, presumably to come retrieve the cow’s body, and he told the animal control officer they were not allowed on his land. Still, Sparrow said Jaime Danforth proceeded to drive the bucketloader onto his property. He stood his ground in the middle of the driveway until she stopped right in front of him, jumped out of the bucketloader and nose-to-nose threatened to kill him. Sparrow said he reported that threat to the sheriff’s office and wanted to see Danforth charged for it, but Ross, the chief deputy, said he was not aware of the threat. Danforth returned to her property after Sparrow said his wife and the animal control officer called the officer, who had left at that point, back to the scene. He and his son then hooked the cow onto the back of his truck with a chain, the only way they had to move it. Sparrow said the incident is the latest trouble in a history of disputes between the neighbors. They say he drives too fast down the road; he says they’ve threatened to throw nails at the end of his driveway because he goes too fast in and out of it. They’ve said while Sophie had gotten out before, she usually comes back for a bucket of grain and doesn’t cause trouble. He says he’s had perpetual problems with animals escaping onto his property. After Nikkia Danforth posted the video of the cow on Facebook and news of the killing spread, Sparrow said his son and their family started to receive threats. Among the threats were two Facebook posts Sparrow said came from a Tim McDonald, who works in the information technology department at Somerset County. Sparrow said he reported the threats to Maine State Police, but nothing has been done. Trooper Tyler Maloon, the officer Sparrow said handled the case, did not respond immediately to a request for comment. Somerset County Administrator Dawn DiBlasi also said Tuesday she was not aware of the alleged threats and would have to review them before commenting further. McDonald did not respond to a phone call seeking comment. Maloney, the district attorney, said she had not heard of the alleged threat from McDonald until Tuesday and did not have firsthand knowledge of it. Now that almost two months have passed, Sparrow said, the threats have mostly died down since he painted his truck a different color to disguise it, but he says he’s still felt the effect on the business he was trying to start with his son, an automobile delivery service. “People don’t buy services from a cow killer, even though I wasn’t part of it,” he said. He also said he’s scared about his son’s upcoming court date and about going public with his story, but he feels it’s necessary.